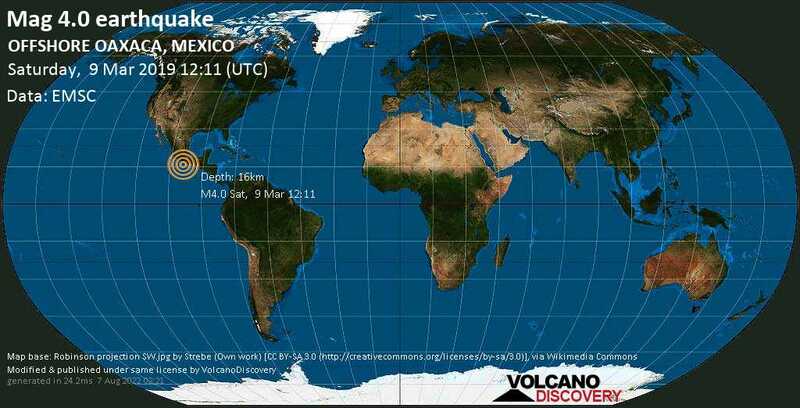 Ixtapa, Zihuatanejo (55.5 km NNE from epicenter) [Map] / MMI II (Very weak shaking): I not sure about the timing. Ixtapa time it was a couple hours ago. Perhaps an aftershock?